No matter which system you choose, EverNew® railing is designed to keep its good looks for years to come, without a lot of maintenance. Consistent quality and appearance. Easy to install and clean/ Never needs painting or staining. Installs on any surface. Concealed hardware. Safe and secure. Outstanding warranty coverage. DuraLife Rockport™ Railing is the perfect complement to your deck, adding style, individuality and safety. Rockport™ railing from DuraLife™ features a millwork quality, cellular PVC formulation combined with architecturally pleasing design lines and an aluminum reinforced core. DuraLife RailWays™ Universal Railing system is the perfect complement to your deck, adding style, individuality and safety. Fairway Vinyl Systems is an established and recognized international manufacturer of high-quality alternative building products. Fairway’s core belief is providing a superior product with unmatched customer service to our dedicated distribution and dealer network, resulting in unmatched value and selection for you, the consumer. 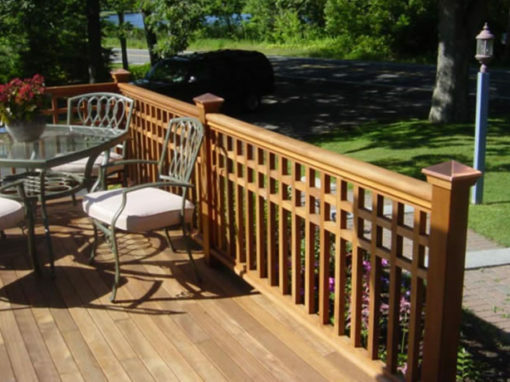 Suitable for decks, porches and balconies in residential or commercial applications, its no wonder FAIRWAY is the railing system of choice and known as “THE TRUE COMPLETE SYSTEM”. Whether you want to enclose a small, secluded side deck or frame a wide, panoramic view, top off the look with Fiberon composite railing. Available in a variety of colors, shapes, and styles, it’s the perfect companion for any deck, porch or patio. Quality lattice and screen are Woodway’s most reknowned products. As former contractors, our founders have always insisted on durability, style and craftsmanship in every lattice panel sold. Woodway Post Caps add a finished quality to a variety of outdoor projects. 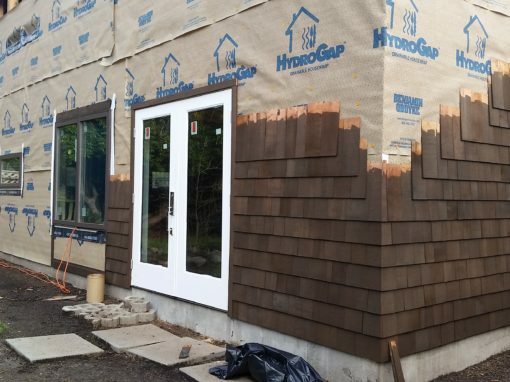 Whether it’s a copper-clad top for your mailbox post, white pyramid caps for your picket fence posts or cedar ball finials for the fence, Woodway finishes your project with style.